From walking the dog to travelling the world and everything in between, we can kit you out from head to toe. Rohan Gear is lightweight, hardwearing and designed to keep you warm/dry/cool/comfortable…. whatever the weather, whatever the activity. 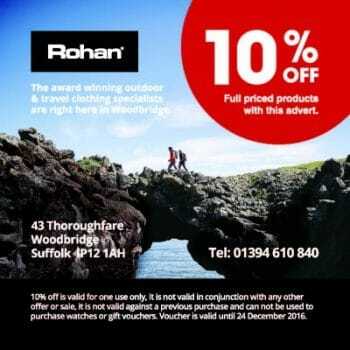 You are assured of a warm and informed welcome from the team at Rohan Woodbridge.